Kombucha is a tea that is fermented by a mushroom commonly known as a “SCOBY” (symbiotic colony of bacteria and yeast). It’s not really a mushroom at all though it just looks like one. The scoby feeds on sugar and black or green tea and don’t worry about the sugar because the bacteria and yeast will eat it right up leaving you with a fabulous elixir that you will want to share. I’m going to show you how to make it yourself for pennies vs purchasing it for anywhere from $4 to $7 a bottle! Let’s Get Started In research published in the Journal of Medicinal Food 2014, researchers from the University of Latvia say the following about the health benefits of kombucha: It is shown that [kombucha] can efficiently act in health preservation and recovery due to four main properties: detoxification, anti-oxidation, energizing potencies, and promotion of boosting immunity. We agree! 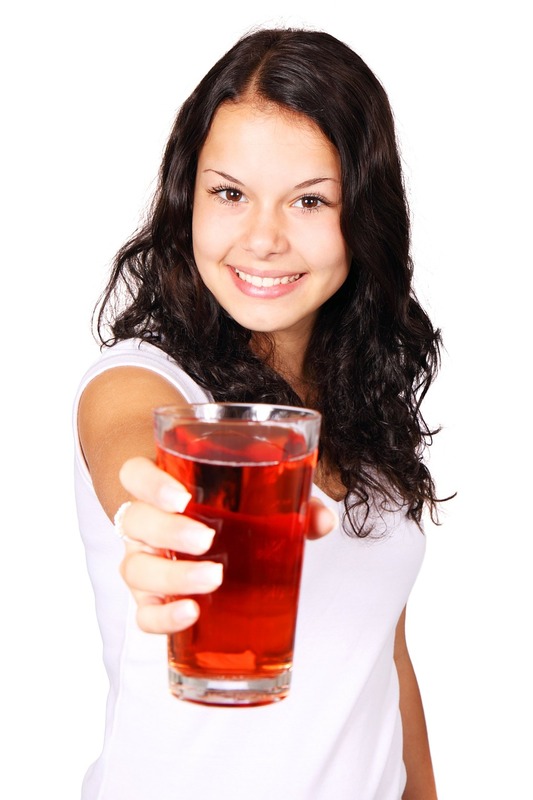 In fact, according to research there are five main health benefits of kombucha. Naturally, the antioxidant prowess of this ancient tea counteracts free radicals that create mayhem in the digestive system. However, the greatest reason kombucha supports digestion is because of its high levels of beneficial acid, probiotics and enzymes. Some research has shown kombucha’s ability to prevent and heal leaky gut and stomach ulcers. No surprise to us, in some instances it’s even proven to be as effective as drugs like Prilosec, which are commonly prescribed for heartburn, GERD and ulcers. Kombucha can also help heal candida yeast from overpopulating within the gut because it helps restore balance to the digestive system. Kombucha is a great way to fight candida because it contains live probiotic cultures that help the gut to repopulate with good bacteria while crowding out the candida yeast. Kombucha does have bacteria, but these are not harmful pathogen bacteria, instead they are the beneficial kind (called “apathogens”) that compete with “bad” pathogen bacteria in the gut and digestive tract. One thing to mention here is that candida or other digestive problems can sometimes be complicated issues to fix and symptoms might actually get worse before getting better. This doesn’t mean that kombucha isn’t effective or is exacerbating the problem, just that gut problems aren’t always a straight path to healing and at times some patience or trial and error is needed. Kombucha’s ability to invigorate people is credited to the formation of iron that is released from the black tea during the fermentation process. It also contains some caffeine (although in very small amounts) and b-vitamins, which can energize the body. Through a special process known as chelation, the iron released helps boost blood hemoglobin, improving oxygen supply to tissues and stimulating the energy-producing process at the cellular level. In other words, by helping the body create more energy (ATP), the ancient tea can help those who regularly drink it stay energized. The overall effect that kombucha has to modulate the immune system is best seen in its ability to control free radicals through antioxidant measures. Clinically proven to decrease oxidative stress and related immuno-suppression, a powerful antioxidant known as D-saccharic acid-1, 4-lactone (DSL) was discovered during the kombucha fermentation process that’s not found in black tea alone. Scientists suspect that DSL and the vitamin C present in kombucha are its main secrets in protecting against cell damage, inflammatory diseases, tumors and overall depression of the immune system. Also, we know the probiotics found in kombucha support the immune system. Kombucha is also beneficial for cancer prevention and recovery. A study published in Cancer Letters found that consuming glucaric acid found in kombucha reduced the risk of cancer in humans. President Reagan even reportedly drank kombucha daily as part of his regimen to battle stomach cancer. Data from a study in 2005 showed evidence that kombucha improves metabolism and limits fat accumulation. Though we need to see more studies before we can confirm these results, it makes sense that kombucha supports weight loss since it’s high in acetic acid (just like apple cider vinegar is) and polyphenols, which are proven to help increase weight loss. https://draxe.com/7-reasons-drink-kombucha-everyday/ .